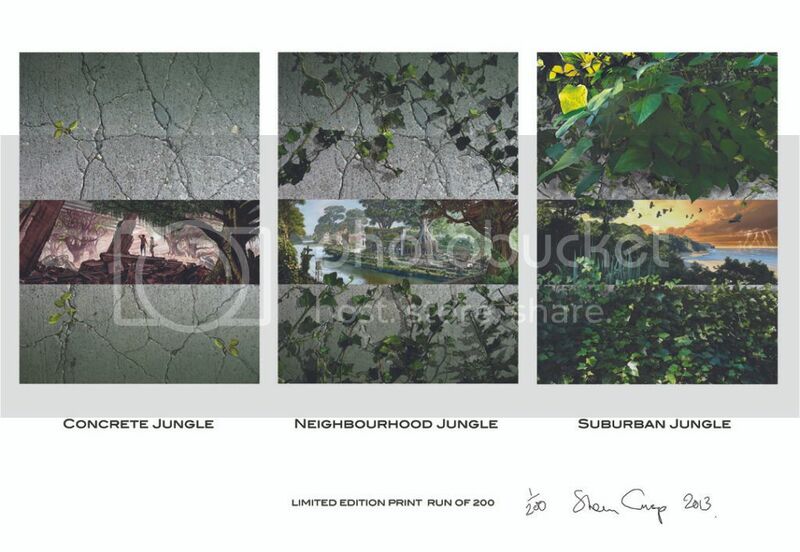 With Suburban Jungle currently working its way through the printing process Tasmaniac is proud to announce artist Steve Crisp has released the three covers of the trilogy, limited to only 200 copies...and signed to boot! Priced at a reasonable 30GBP + postage, order your exclusive print direct from Steve Crisp. Simply send an e-mail with JUNGLE PRINT ART in the heading and state your country of residence, so Steve can process your order quickly. I received my print yesterday and it looks excellent!